A few days ago I posted about students' goals - what they are, how students can track their progress, etc. (see here). 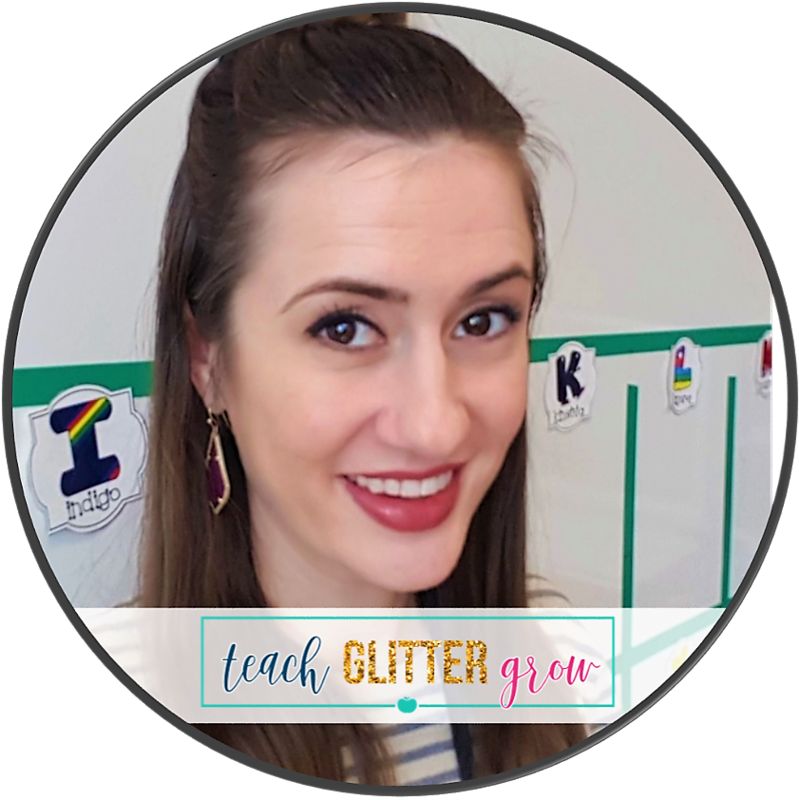 As teachers, we all know that students have goals that they need to achieve by the end of the year so figuring out what the goals are the easy part. GETTING students to those goals is where the hard work comes in! 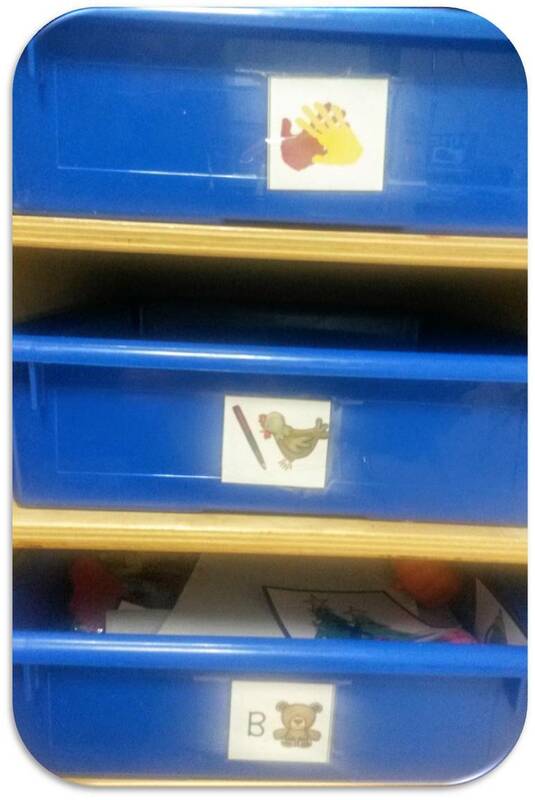 One way that I help students to achieve their goals is through scaffolding independent workstations. Last Wednesday I spoke about scaffolding workstations at my district's principals meeting and thought I would share some of those same ideas with you! 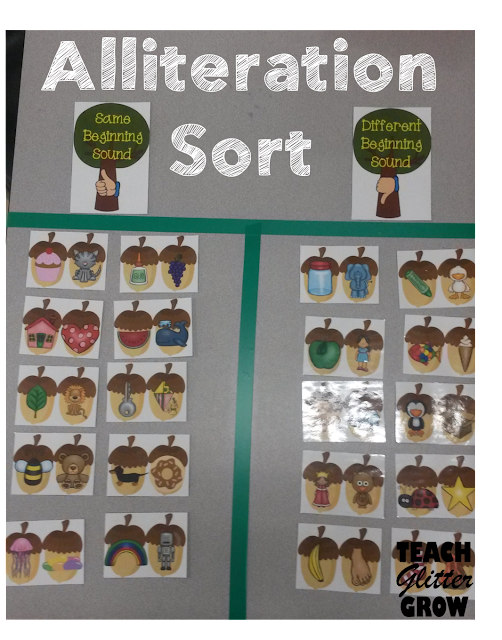 Tier 1 is whole group instruction. Students in tier one gain an understanding after whole group instruction and can practice the skill independently. 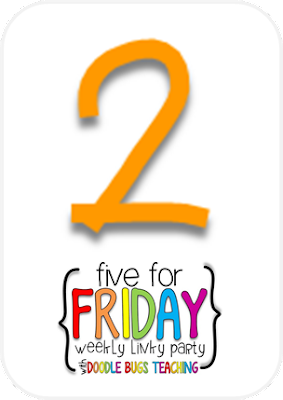 Tier 2 is small group instruction. 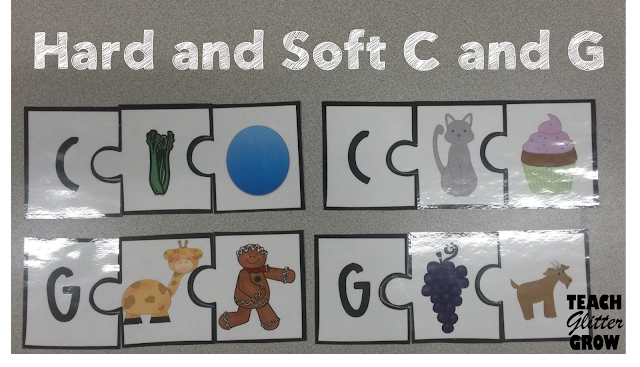 Students in this tier have a basic understanding but there is still some confusion and they need more practice during small group in order to practice the skill independently. Tier 3 is small group or 1 on 1 instruction. 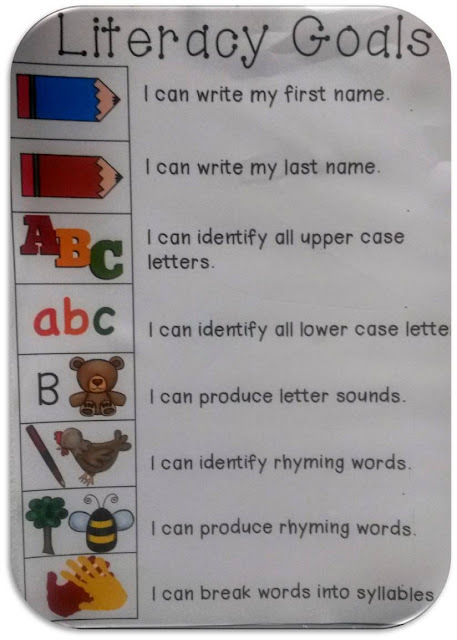 These are the babies who are either really struggling or who are just beginning to understand a concept or a skill. 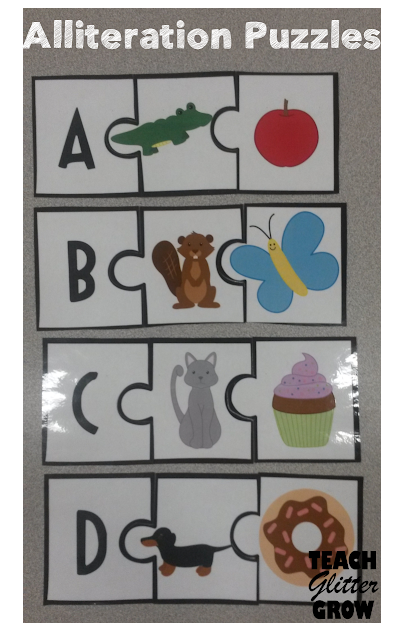 Student on this tier can identify which picture begins with a given letter sound. This activity is a good tier 3 students because students are only given 2 options to choose from - one picture that begins with the given letter's sound and and one that does not sound anything like that letter's sound. Tier 2 students have an understanding of most letter sounds and may only be miss a few sounds when being assessed. 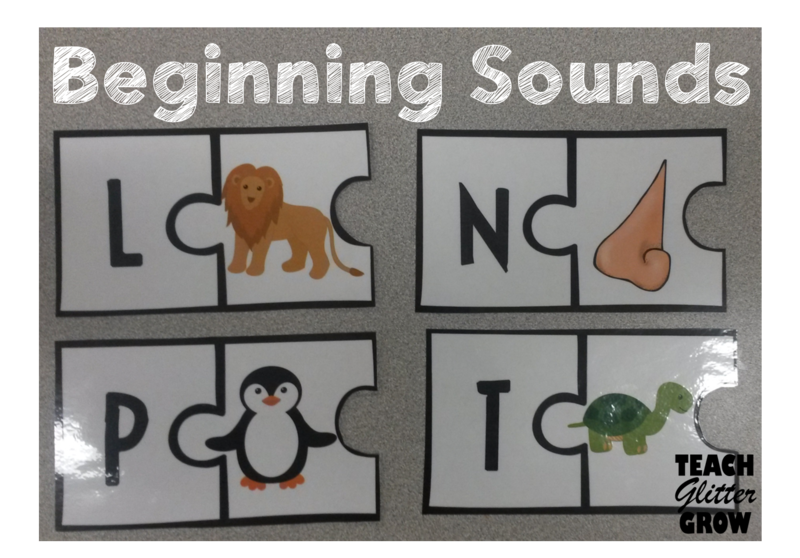 This activity is good for tier 2 because they have to identify which sound they hear at the beginning of the word and then find the letter that makes that sound. Tier 1 students know their letter sounds and are ready to segment simple CVC words and spell them out. For math I wanted to share a workstation that I have had for the past 5 years and has always been a class favorite! 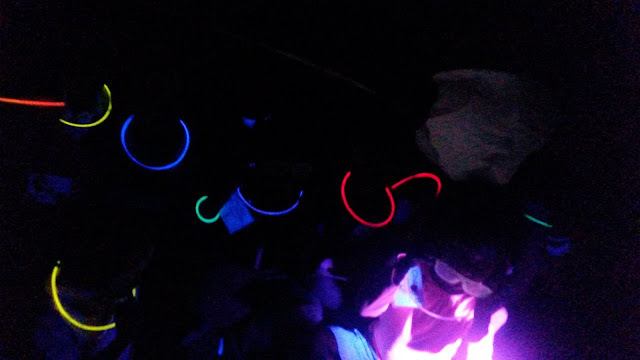 The kids love it because it is fun and interactive. I love it because it was easy to make and can be used to practice a ton of different skills! For this workstation I used a large piece of green felt cut into the shape of a Christmas tree, red and white felt cut into circles for ornaments, a dice, and different sized presents for ordering by size. 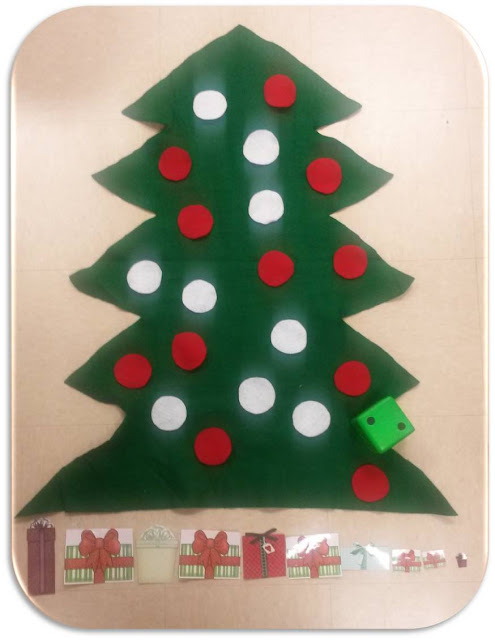 For my tier 3 students, they can practice subitizing with the dice, counting with 1:1 correspondence, and ordering the presents below the tree from largest to smallest. 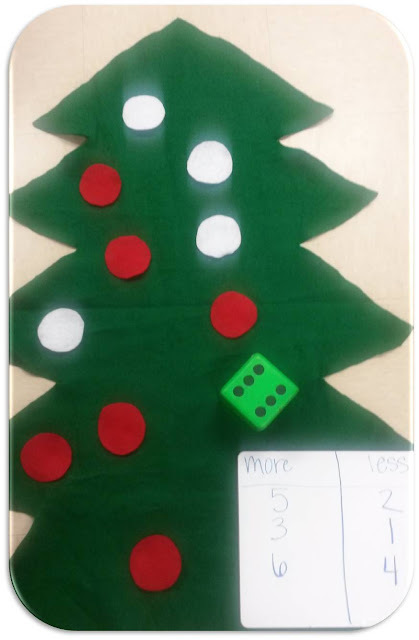 When my tier 2 students go to this workstation, they can practice subitizing with the dice, counting with 1:1 correspondence, comparing groups, and ordering the presents below the tree from largest to smallest. 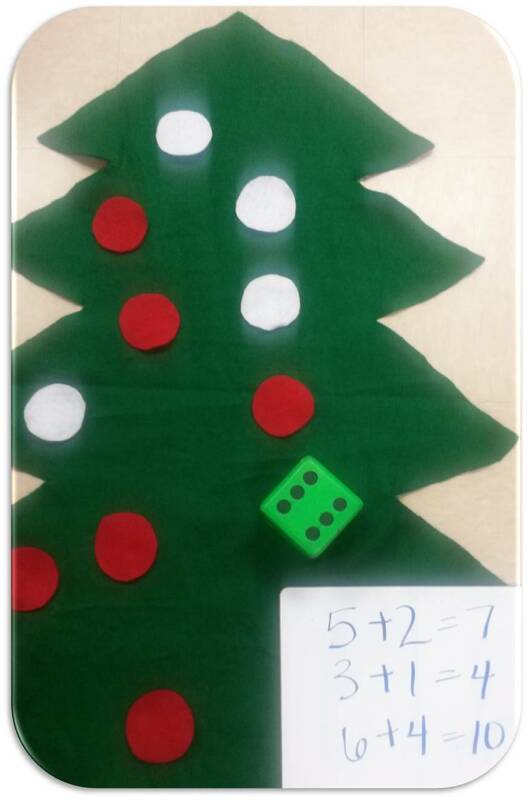 For my tier 1 students, they can practice subitizing with the dice, counting with 1:1 correspondence, completing simple addition problems, and ordering the presents below the tree from largest to smallest. 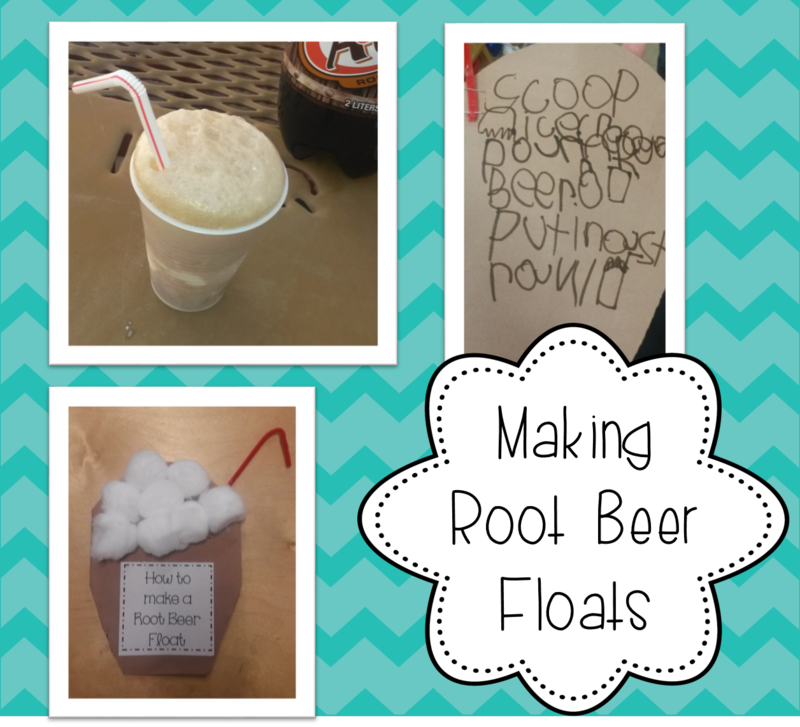 I love when I can find 1 activity that meets all of my students needs! 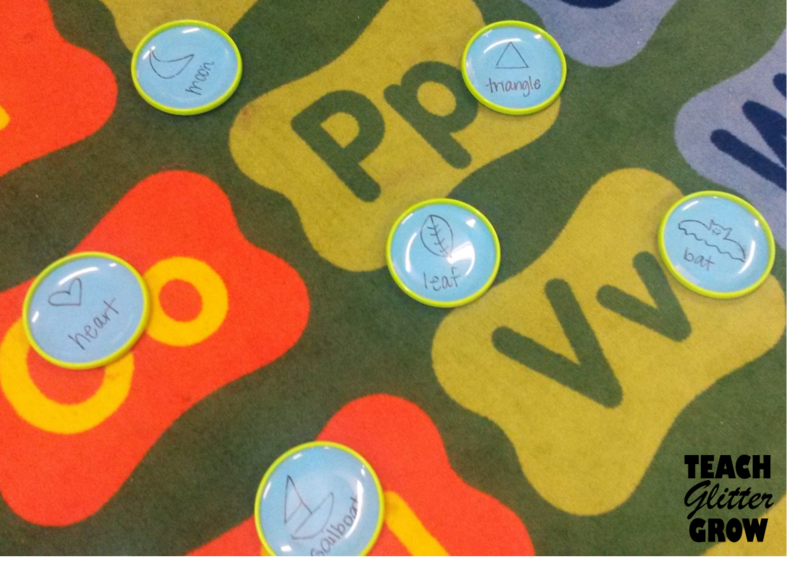 Do you use tiers to divide your students into groups? 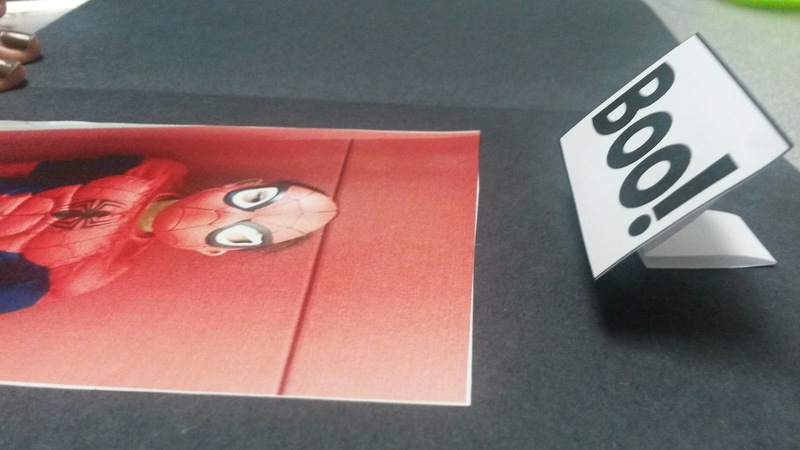 What kind of things do you do to differentiate workstations? I LOVE hearing new ideas! I really don't like to have my time wasted or do things just for the sake of doing them. If I am asked to do something, I want to know what the purpose of doing it is! 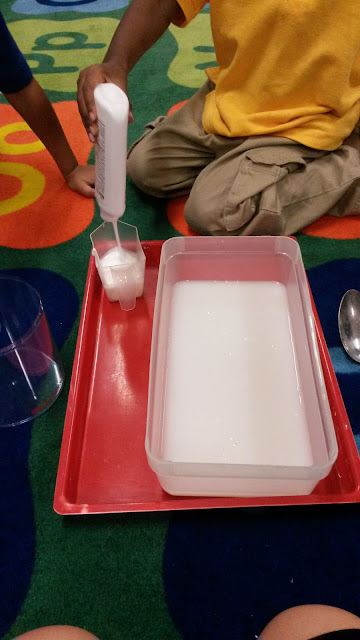 I have found that even though students will sometimes do things "because the teacher says so" when they are given a purpose, they are much more eager and focused when completing the task. This is why I love giving my students goals to work towards! 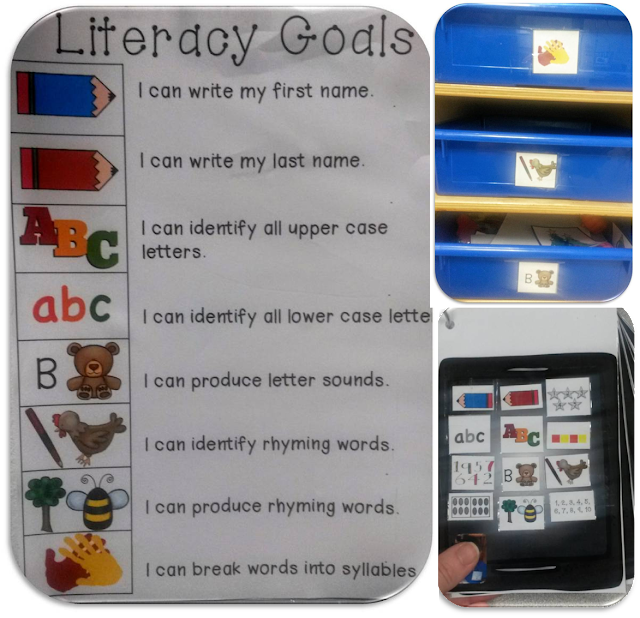 Here is an example of my literacy goals at the beginning of the year. As you can see, each goal has a special icon that goes with it. I use these icons 2 different ways. 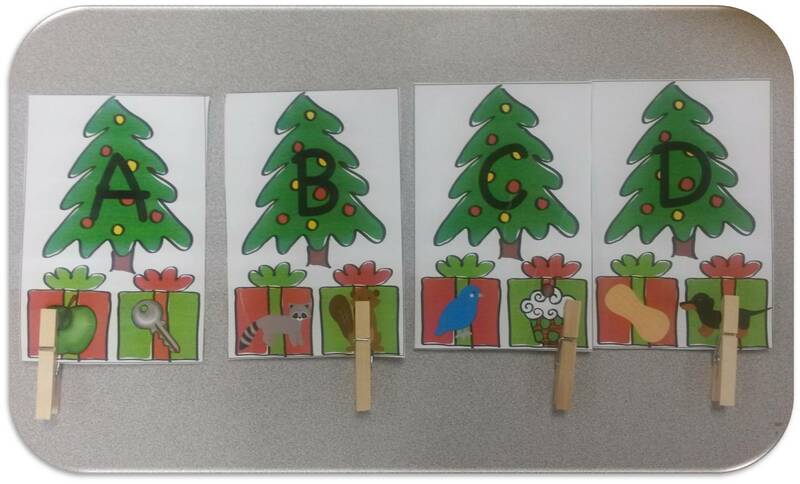 This way I can tell students, "You are working towards the goal of producing letter sounds. I want you to work towards that goal by choosing a workstation that has the letter B with the bear." 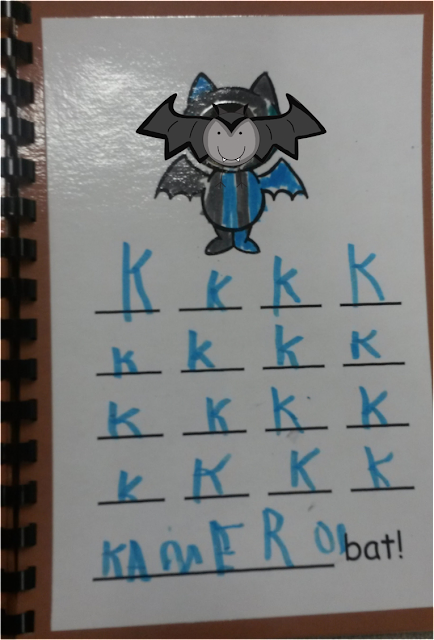 I also use the icons to help students track their progress. 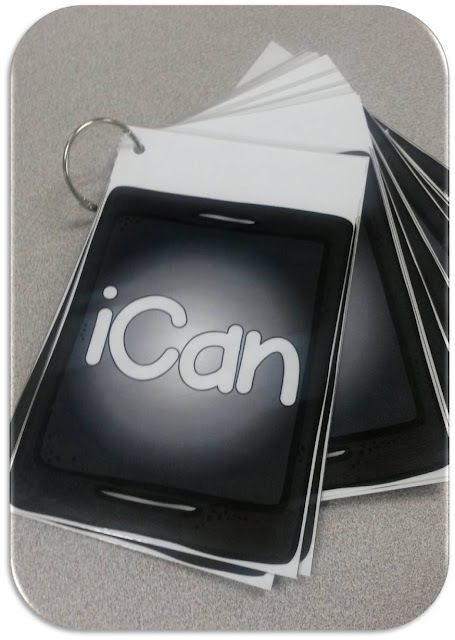 On this binder ring, each student has an "iPad" with their picture, that shows different things that "iCan" do. 1) I covet my wall space and if I have 22 large ants hanging up, that is less room for student work! 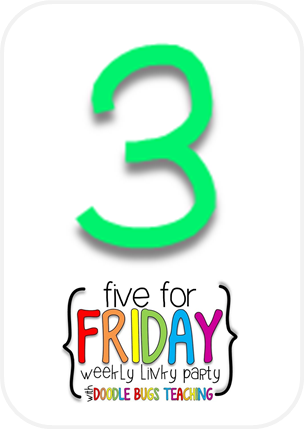 2) having each student on a different page that I can flip to when I am working with a particular student, helps them to focus on what they are trying to achieve instead of seeing what their friends have or have not achieved. 3) When meeting with parents, I can show them what their child has achieved without making comparisons to his/her classmates. Here is a student who has met many of their goals already. Each time they can show me that they have met a goal, they get to add another little icon to their page. 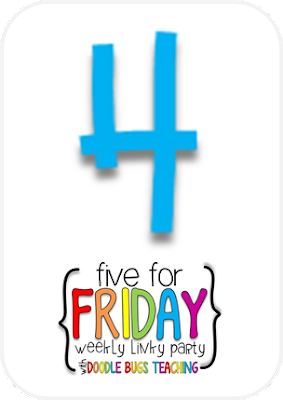 We usually add icons to our chart on Fridays but if I see a student who has been working really hard to meet their goal during the week (and they show they can independently practice this skill during workstations or in small group) we add the icon right then and there! One more thing, the goals listed above are not necessarily the same goals for all students all year long. As students meet these goals, I add new ones. There is always something new to learn! 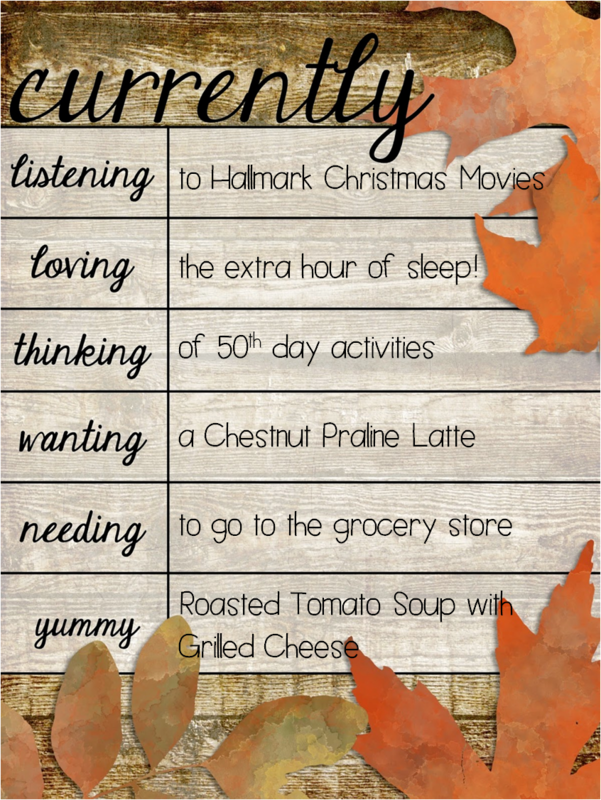 If a student is working hard but still really struggling to meet these goals, I will break down some of the larger goals into smaller chunks. 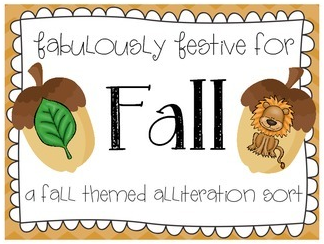 For example, if it is October and you still only know 1 letter, 26 seems pretty daunting! A new goal for that child might be to learn 5 letters, then 10, then 15, and work their way up! Think this would be helpful in your classroom? You can find everything you need to set this system up and have it work for you all year long here! Have any suggestions? 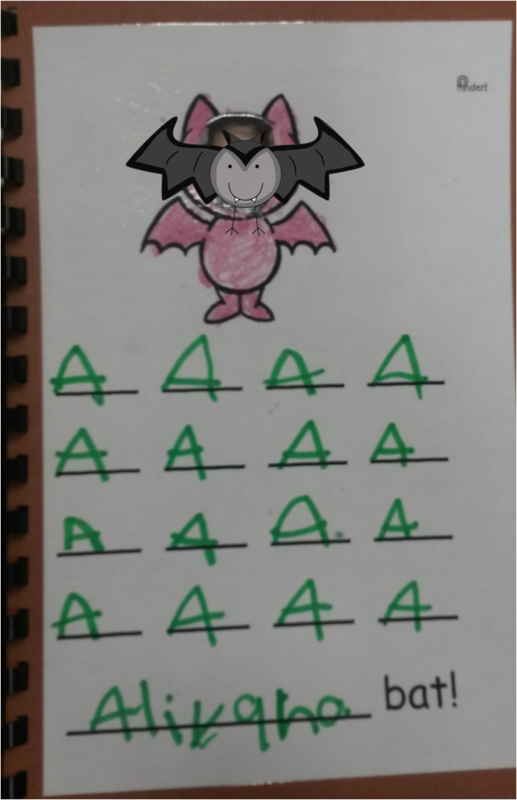 How do you help your students track their progress? 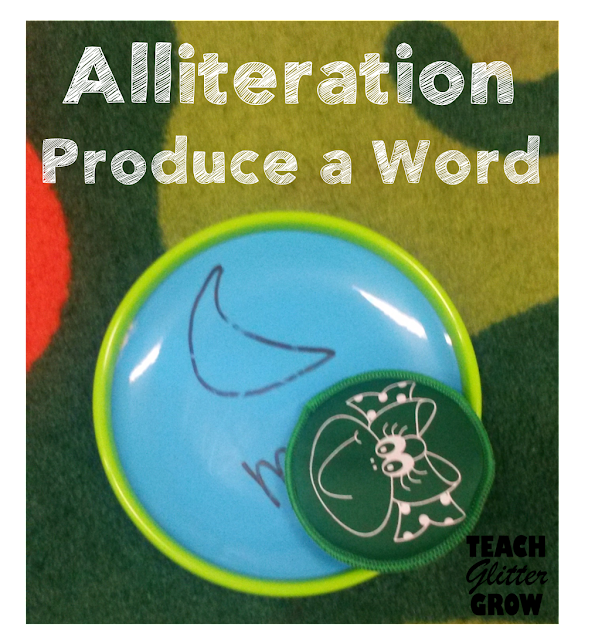 Alliteration is a skill that stumps a lot of my students every year. Over the past few years, I have found that scaffolding the concept with a few of these activities has really helped them gain a better understanding not only identifying alliteration but also producing their own words that begin with the same sound. When teaching alliteration, I start with identify if words that have the same beginning sound or a different beginning sound. Then, I move on to matching words that begin with the same sound. Finally, I have students produce words that begin with the same sound as a given word. 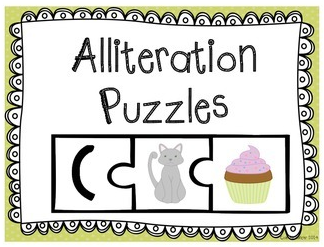 When students are new to the concept of alliteration, I like to start them off with a simple sort. When they are first learning, handing students a stack of cards and asking them to find the ones that begin the same can seem a little overwhelming. 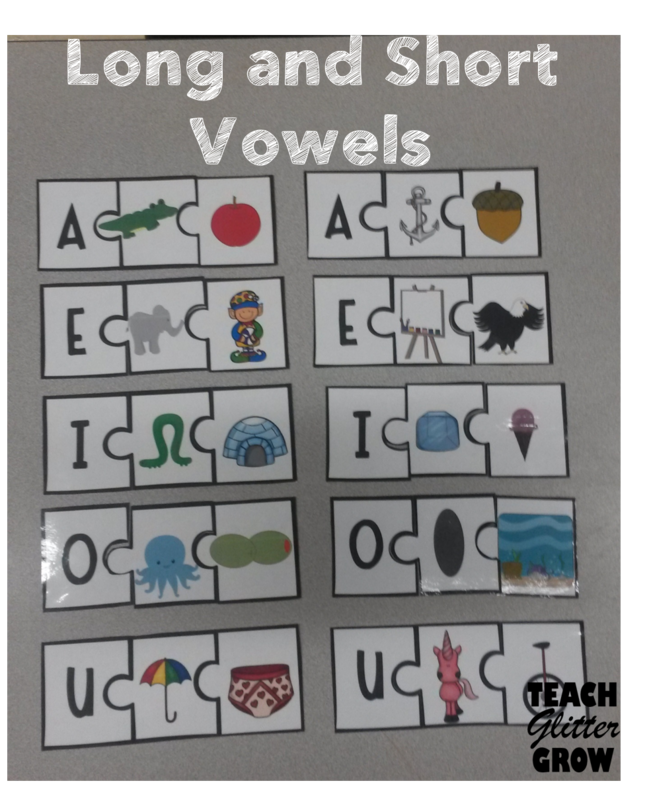 I have found that students get a much better foundational understanding of the concept when they are only given two words at a time. I tried to make the words with different beginning sounds sound VERY different (elephant/jar, sock/volcano) so that it is easier for students to identify. 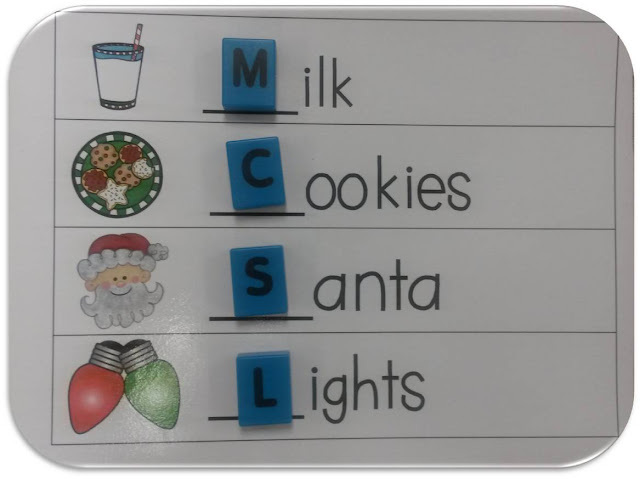 The last step is students being able to produce another word that begins with the same sound as a given word. I like to play a few different games to practice this concept. I wrote several different words and pictures on these plate looking things (I think that's the technical term;) from a suction cup catch game. I got these at the dollar spot at Target a while back but you can find similar ones here. Then, the students take turns throwing a beanbag (you could use the suction cup ball, a balled up piece of paper, whatever!) to a plate of their choosing. 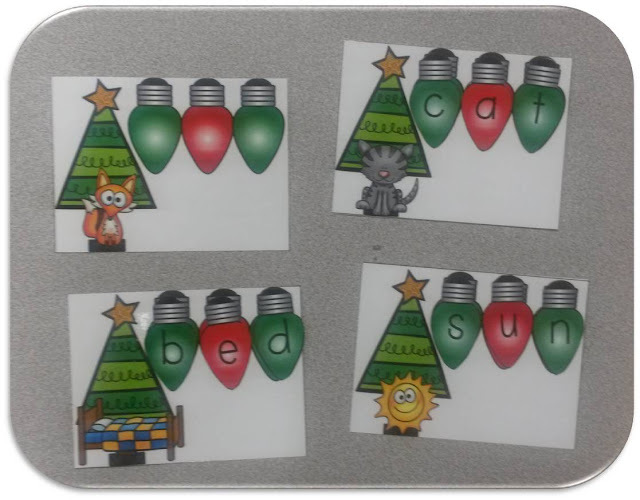 Students must then produce a different word that starts with the same beginning sound as the word on their plate. What kinds of activities do you do to help children get a better understanding of alliteration? 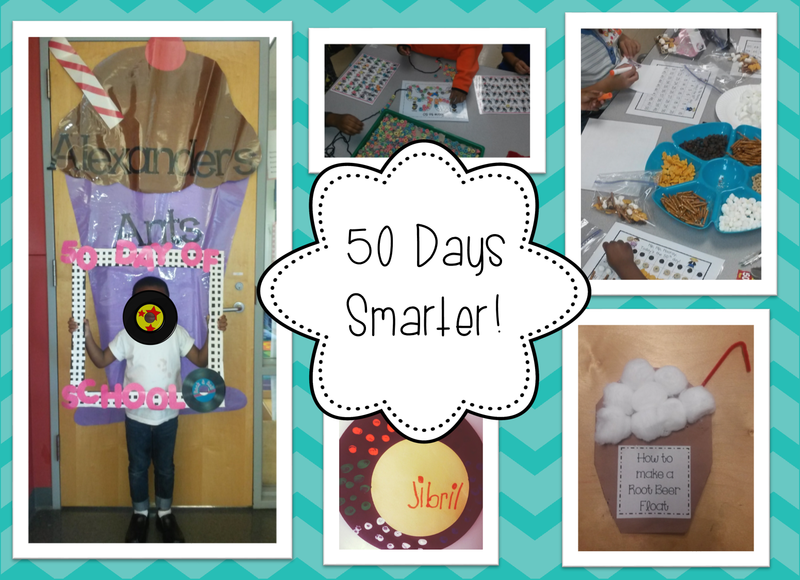 The Fabulous 50th Day of School! Today we celebrated the fabulous 50th day of school! Which, let's be real, usually end up being soggy pieces of string around their neck by the end of the day (yuck!) 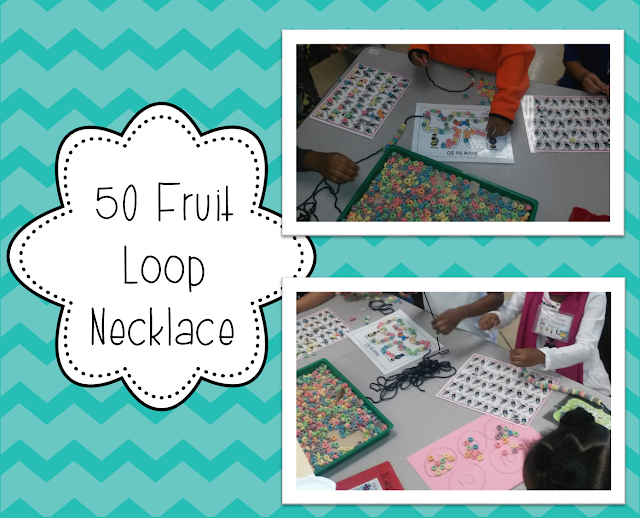 Watching them sneak fruit loop bites throughout the day grosses me out but the kids get great counting practice, 1:1, and even fine motor so we still do them each and every year! 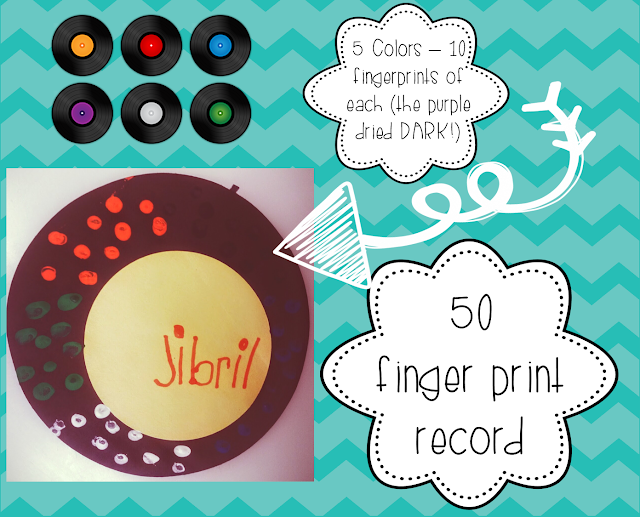 I was so busy making sure there were not 500 little colorful fingerprints all over my classroom that this was the only photo I snagged of this project :( Next year I will switch out the blue and purple since they both dried really dark! 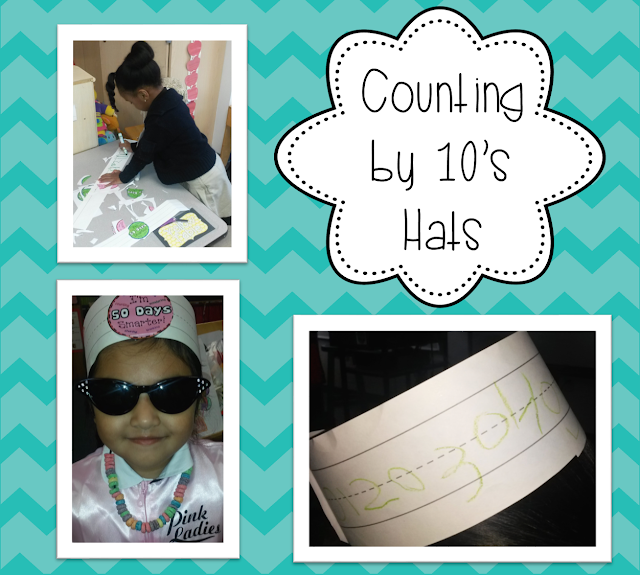 For these simple hats they just counted by 10's and cut out this cute little "50's Days Smarter" tags that you can find for free here. 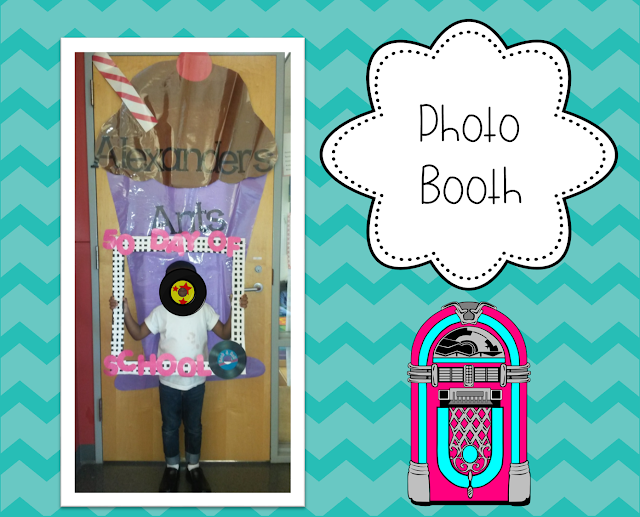 And ended the day with a Sock Hop in the cafeteria! Phew! 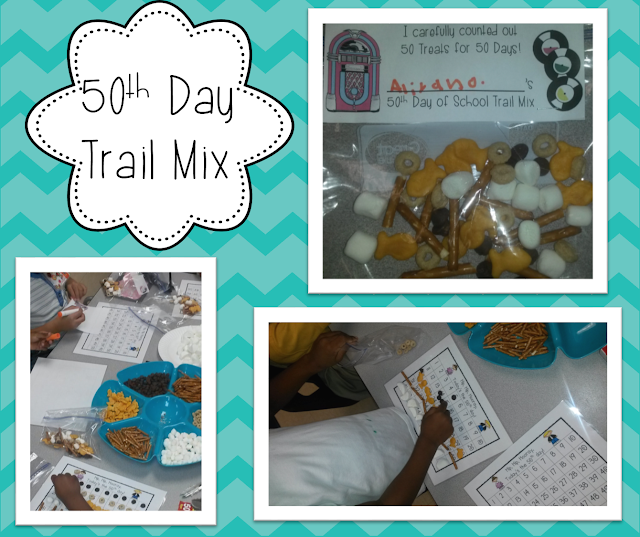 The 50th day was a lot of fun but I sure am glad it only comes around once a year! I am one tired teacher! Have you already celebrated the 50th day of school? What kinds of activities do you do? 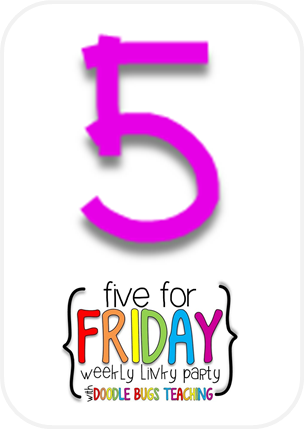 Thinking: The fabulous 50th day of school is Tuesday! Wanting: The holiday flavors are back at Starbucks!! Although they are all delicious, I think the Chestnut Praline is my favorite! Yummy: With colder weather moving in I love warm and cozy comfort food. This roasted tomato soup with grilled cheese is one of my favorites! 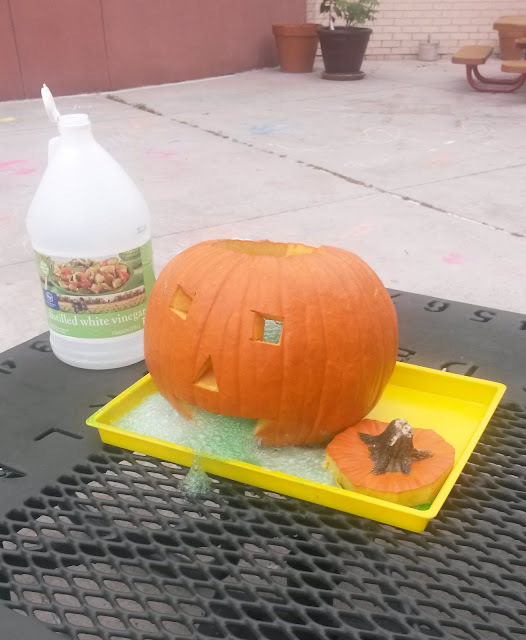 October Class Booooo(ks) and some Spooktacular fun! This has been a crazy, whirl wind kind of week! 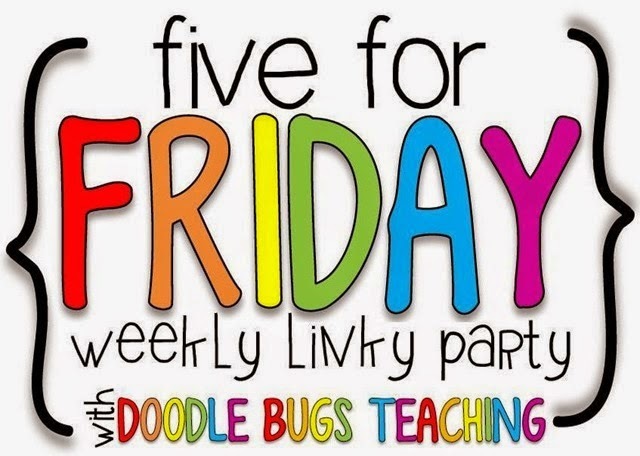 I am linking up with Doodle Bugs Teaching's amazing linky party to share a little bit about what we have been up to! I LOVE creating books with my class. They are a great way to help students learn conventions of reading and writing, practice writing skills, phonemic awareness, fluency, and sight words. 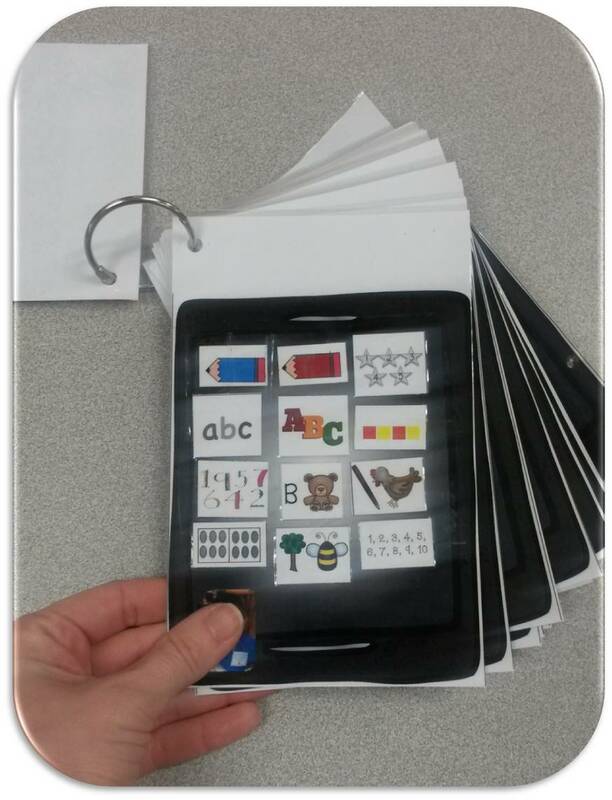 Plus, students love creating them and they are always a favorite in the classroom library! This first book came from Kinder Kim's Going A Little Batty pack. I saw the idea on her blog and had to scoop up the product ASAP! 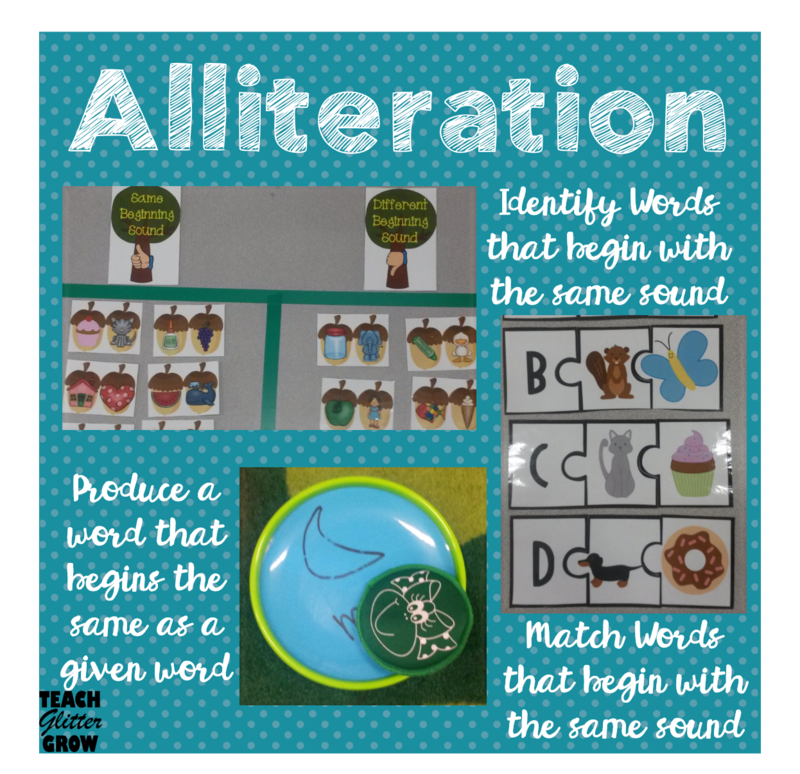 We have been working on alliteration this week and many of my students have been having a hard time isolating the beginning sound of each word. This book was great practice for just that! for privacy reasons I had to put that bat over their sweet little faces but you have to imagine how ADORABLE these turned out with their face on the bat head. 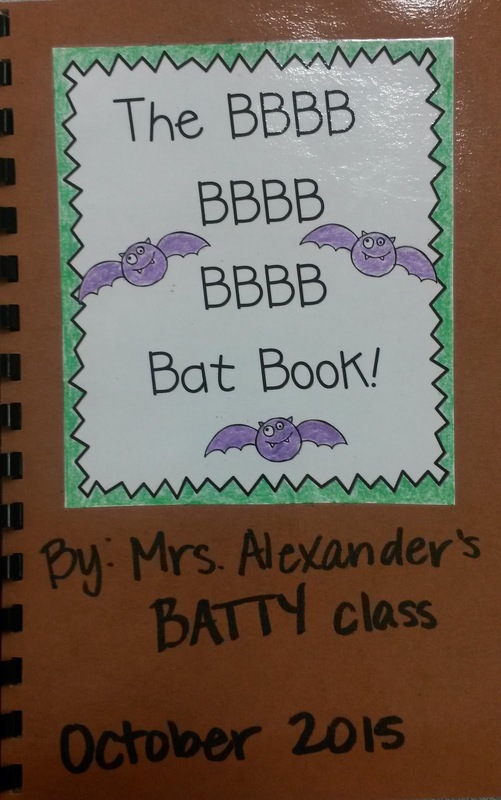 they wanted to read this book over and over and found seeing themselves as a bat HILARIOUS! 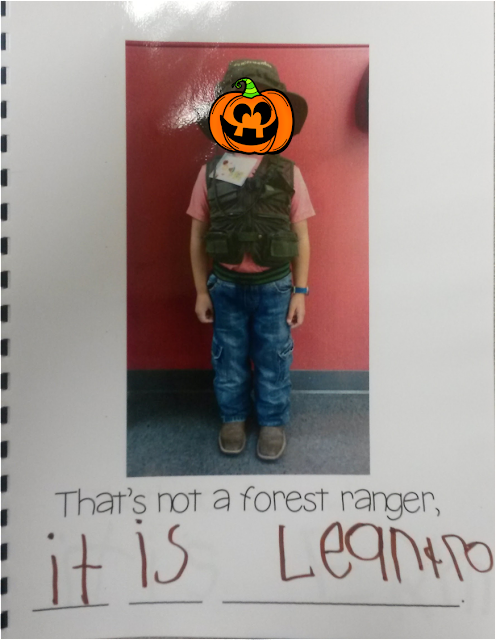 The story has all of Little Critters friends dressed up in their Halloween costumes but when you open the flap, the friend removes their mask and he sees who it really is. 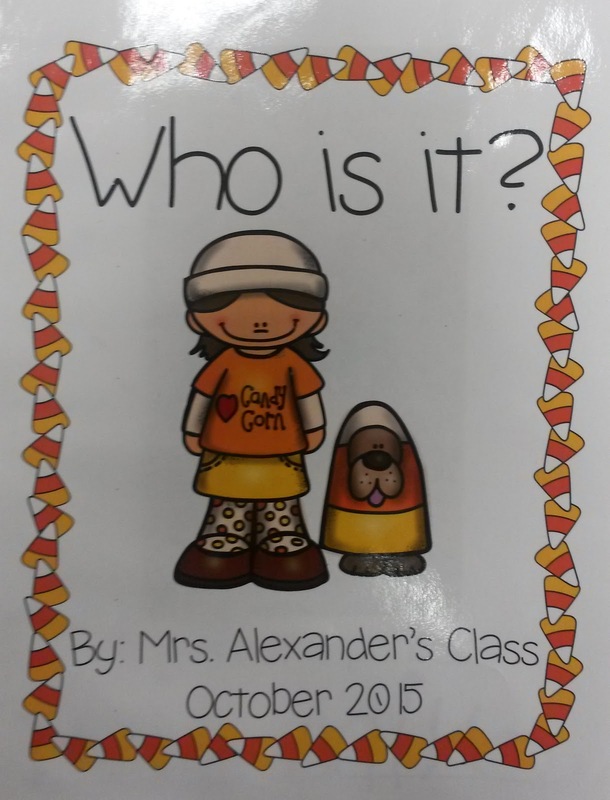 After each page my students started saying, "That's not a ghost, it's (characters name). 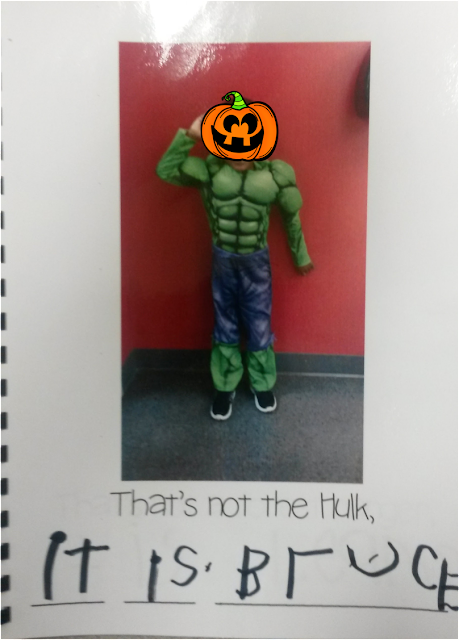 This gave me an idea for our own class book! and write their own name. Now, I am ALL for kids being creative and making their own illustrations (and trust me, they do their fair share of that) but there is something special to them about seeing their face in a book. 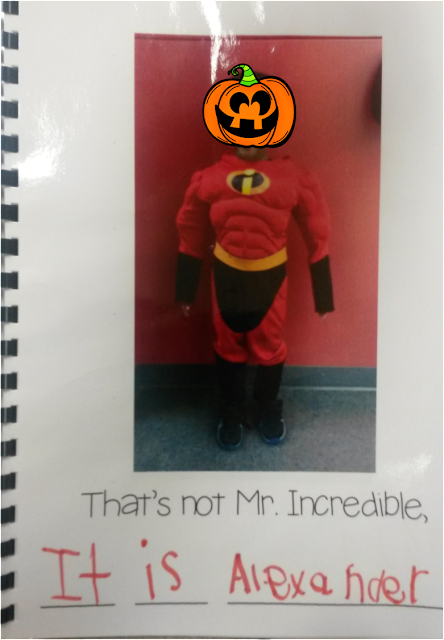 They thought it was especially hilarious to see their face on a bat body or dressed up in a Halloween costume! 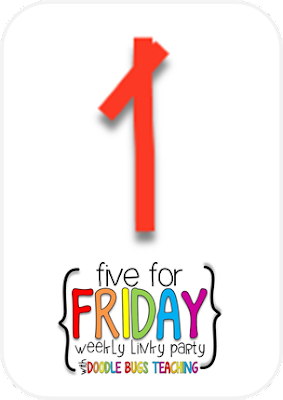 My goal this year is to write 1 class book a week. I want to write at least 22 class books so that at the end of the year, each child can pick a class book to take home as a special memento of our year together! You can see the other class book we made this month here. 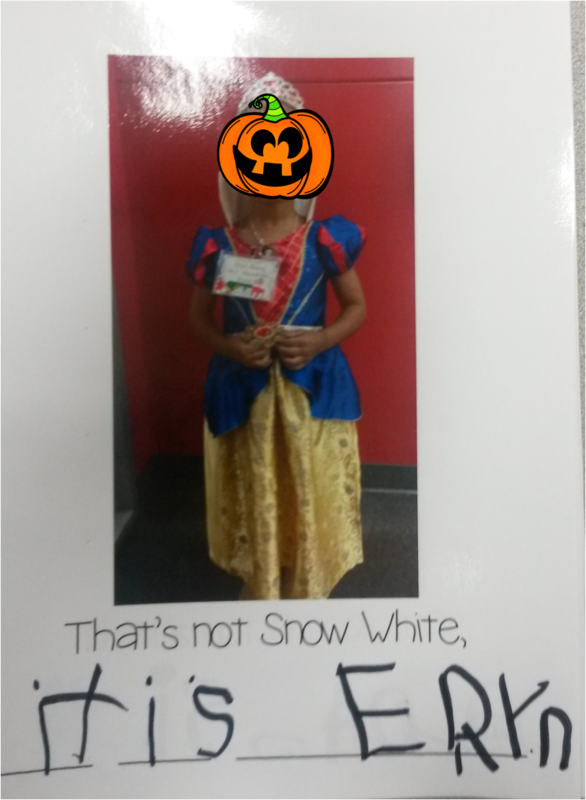 Babbling Abby posted the cutest Halloween Costume Crafty on tpt and I could not wait to make it with my students! 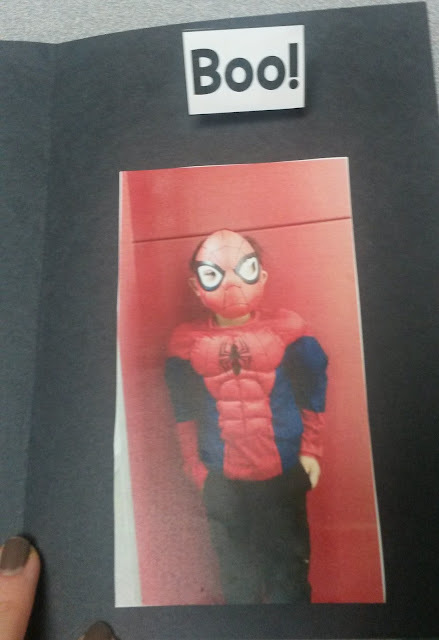 since I already had pictures of them in their costumes (and they really wanted to take their page from the class book home but their mean teacher wouldn't let them) I used their pictures instead of having them draw one. You fold a piece of paper accordion style so the Boo! pops out. 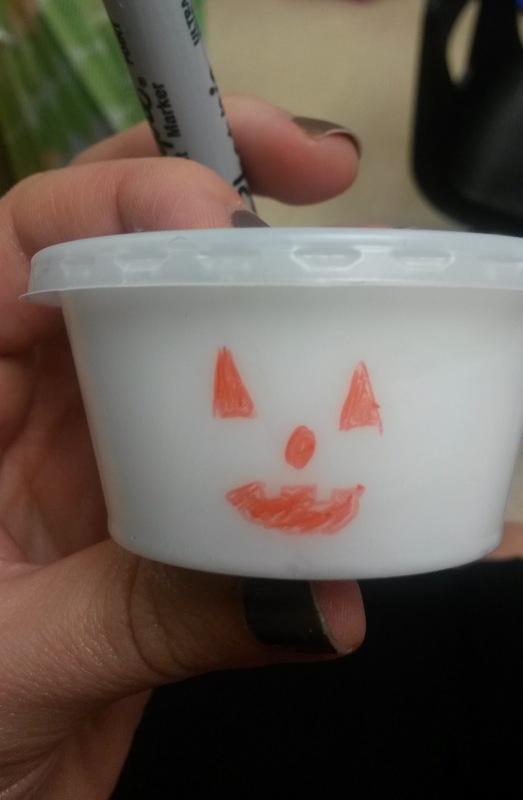 They were quick and easy to make on a crazy Friday before Halloween and I think they turned out really cute!! Of course it wouldn't be Halloween without a "Jack-o-Lantern experiment." 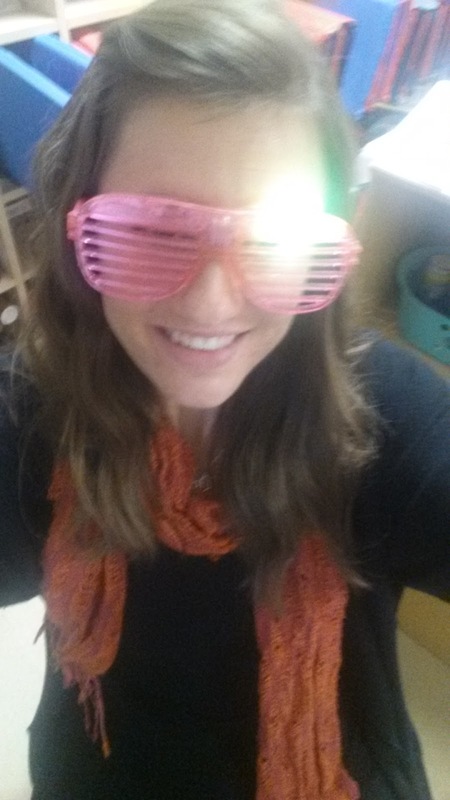 I even joined in on the fun with some glow bracelets and light up glasses. 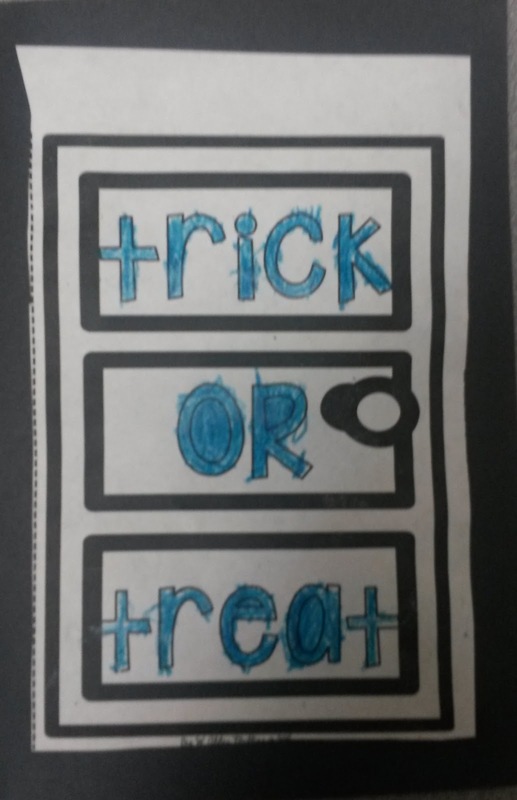 I hope everyone has a happy Halloween weekend! !